This summer seems to be the summer of fish and white wine pairings for me. 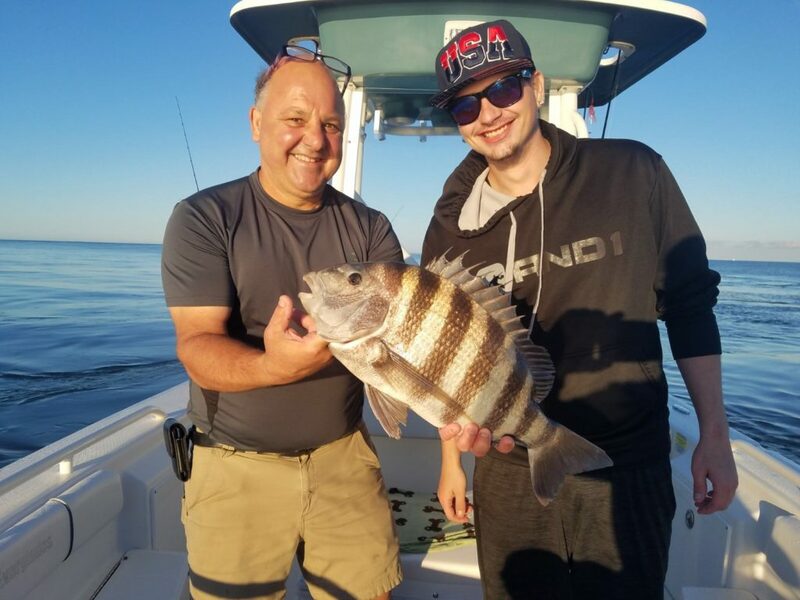 It’s a great time to eat fish,especially when your husband catches it. There is such a variety of white and rose wines that pair so well with fish and Left Coast Cellars produces some rare and exceptional wines that fall into that category. There is nothing better than eating fresh fish and drinking good white wine that leads to great memories. Last year I got introduced to Left Coast Cellars and was quite impressed with their wines. I’m going to admit, I was never a fan of Pinot Gris until I had it from Oregon and now I am hooked. 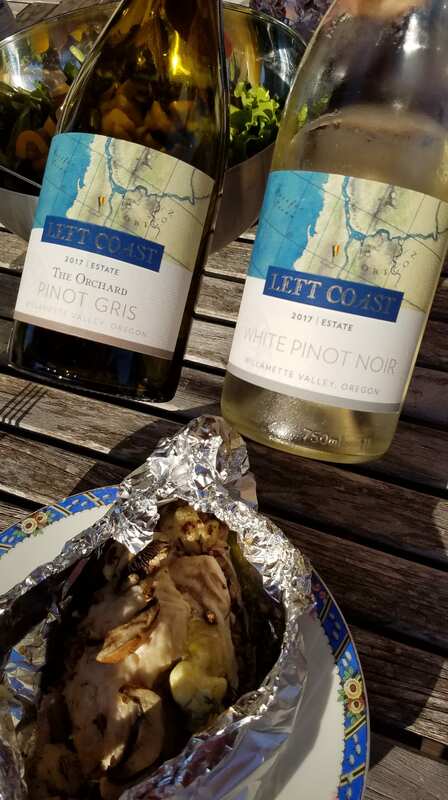 Left Coast Cellars not only produces a Pinot Gris but a wine you don’t see very often being made, a White Pinot Noir and I am always intrigued with wines out of the norm. What is a White Pinot Noir? At Left Coast it all began as an experiment. One of those experiments that you undertake and hope for the best others just happen. This experiment was a huge success. The grapes are crushed at extremely cold temperatures so there is minimal coloration from the skins. There is no time for them to sit and extract of color and tannins from the skins and seeds. Once pressed, the juice is then fermented in stainless steel and aged on the lees. My thought was what do I pair with a White Pinot Noir? 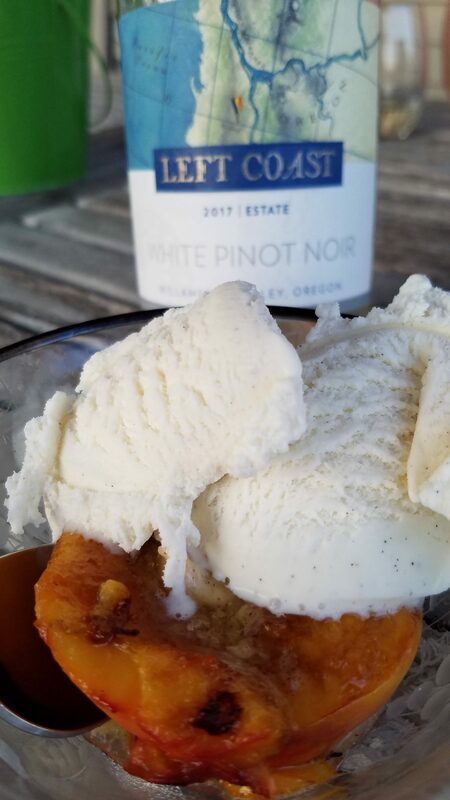 This 2017 vintage of Left Coast Cellars White Pinot Noir SRP $24 is 91% Pinot Noir and 9% Pinot Planc from the Willamette Valley of Oregon. Once the grapes are pressed they are aged for 4 months in stainless steel. The wine shows aromas and flavors of white berries and white flowers, nectarine, peaches with hints of wet stone. I paired it with the Sheepshead Fish Paul caught and grilled peaches and vanilla ice cream. The wine went well with both. With the fish, it cut back on the acidity. With the grilled peaches, it was the perfect way to end a nice dinner. Left Coast The Orchard Pinot Gris 2017 SRP $18, a blend of 91% Pinot Gris and 9 % Pinot Blanc from Willamette Valley, Oregon. This wine paired well with the Sheepshead Fish too. Yes it was a two bottle evening. This is a very exciting Pinot Gris and complex as well with aromas of pineapple, white flowers, and wet sand. 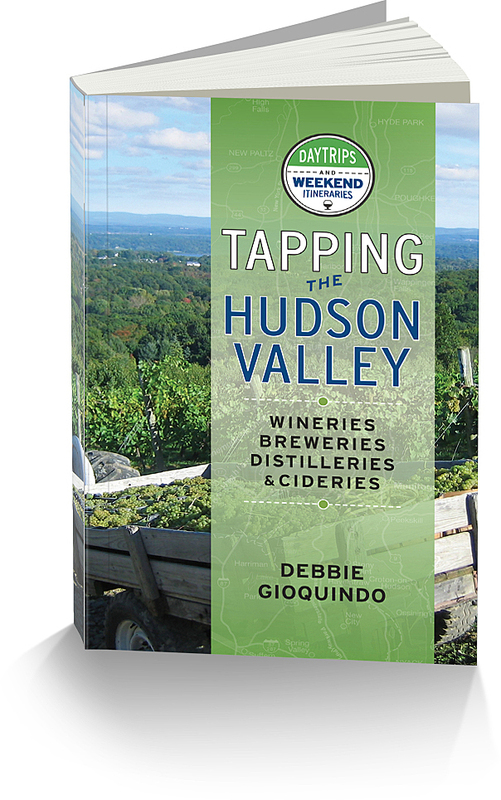 On the palate it is soft and exciting with flavors of apricot, white plum and ripe pears. A delightful wine with a white fish or just on it’s own. 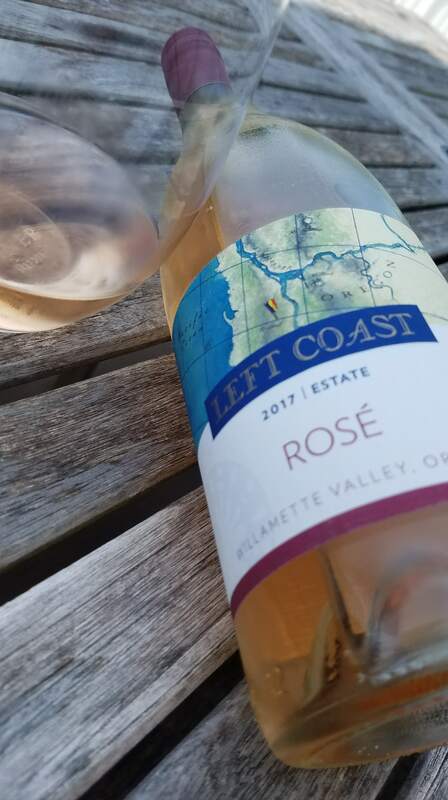 Left Coast Estate Rose 2017 SRP $24 is a blend of 54% Pinot Noir, 40% Pinot Meunier and 9% Pinot Blanc aged in 100% neutral French oak for 4 months. A nice food friendly Rose or drink on it’s own. Aromas of strawberry and black cherry has a hint of earthiness. Flavors of cherry, mandarin orange with a slight hint of white spice layer on the palate. 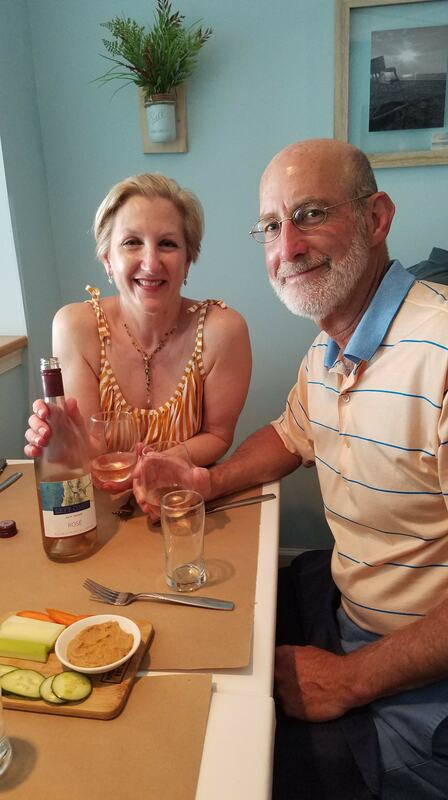 I believe in sharing and brought this wine to the restaurant to share with my favorite people Bob & Vickie. I think this will pair very will with our Halibut and Lobster dish that is topped with a provencal tomato nage. Left Coast Cellars is a family run winery located in Rickreall, Oregon. Take a tour of their estate below and if you are in the region, make sure you stop in for a tour and tasting.